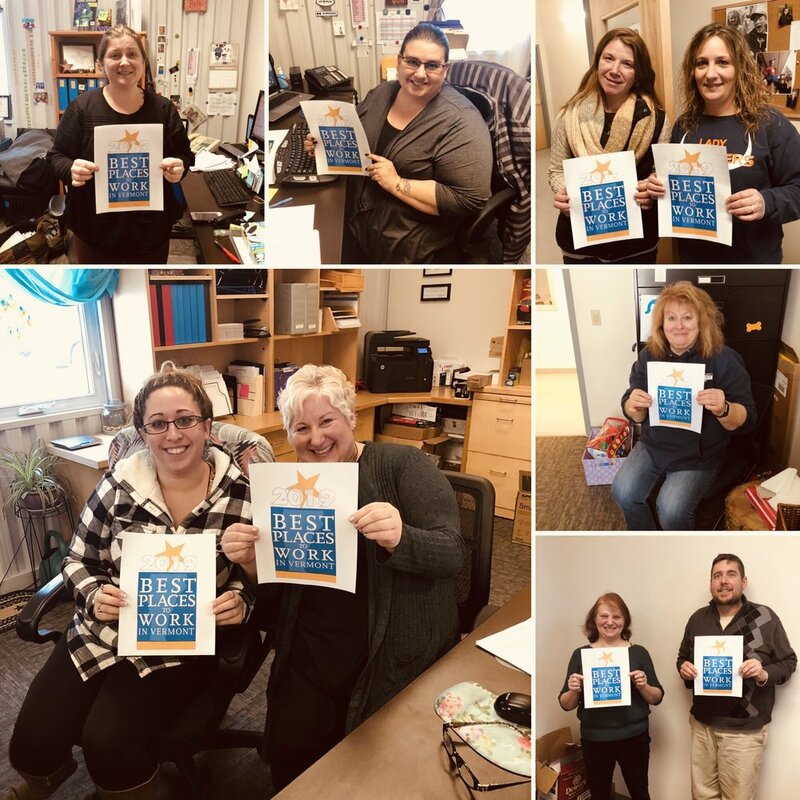 Green Mountain Support Services (GMSS) was recently named as one of the 2019 Best Places to Work in Vermont. The twelfth annual list of the Best Places to Work in Vermont was created by Vermont Business Magazine, the Vermont Chamber of Commerce, the Vermont Department of Economic Development, the Society for Human Resource Management (SHRM) – Vermont State Council and Best Companies Group. This statewide survey and awards program is designed to identify, recognize and honor the best places of employment in Vermont, benefiting the state's economy, its workforce and businesses. The 2019 Best Places to Work in Vermont list is made up of (number) companies. Two of our more successful programs is offering our staff unlimited vacation and also pay them money to quit smoking. Due to these and other benefits, we have the highest retention rate in Vermont in the non-profit human service category which has significantly reduced our administrative costs. We are also proud to state that our administrative costs always hover between 4% and 5%.